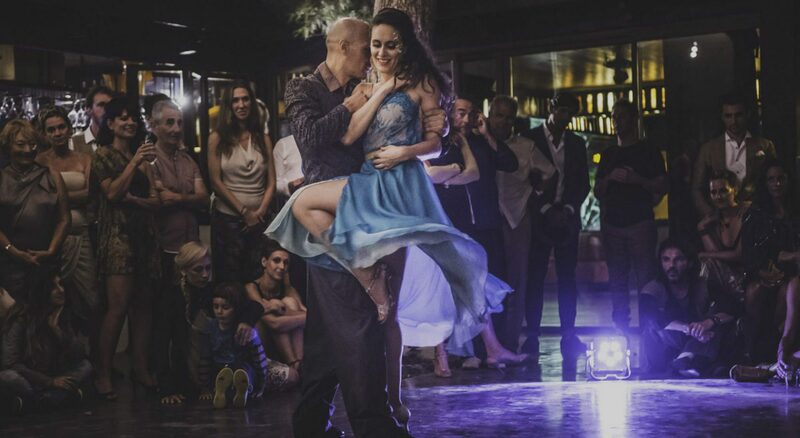 We provide the most holistic tango experience that you can have, sharing part of our culture as much as possible: dancing, teaching and taking our students to Buenos Aires. We provide tango shows for private or public venues. From the basics and most important concepts of the modern Argentine Tango, we develop a whole system to achieve the maximum from the couple-movement. The use of movement to produce movement: when the two bodies are both in axis there is no need to use force or tension. Force and tension are a waste of energy, contaminates the movement, creates discomfort, reduce our possibilities and looks very bad. But to understand movement we must understand stillness first, and grow from there. So our technique and method will show you how to deeply understand and achieve a much higher level of dance through the use of the type of connection that suits you the best. Tango is an embrace: either is social Tango, stage Tango or high level improvisational Tango, the embrace has to keep feeling for what it is: a human embrace. So it’s not a rigid dance position. This opens the door for each person to find a personal embrace and start building your own style form there. We understand that one of the mystical parts of tango is precisely that: make feel your partner, whomever he/she is at that moment, what an embrace is for you. Try all the posibilites: the old or traditional tango is based on sequences that were form according to what the Tango embrace would naturally allow. Of course we use that too, but in order to reinforce that knowledge and get new one, we also practice the same movements despite the nature of the Tango embrace. Close or open, right or left, just play! Leader leads, follower follows: As all the social dances we know of, Tango also follow this rule. That seems like no news, but this statement refers to a much higher commitment from the leader to be responsable for his partner comfort and movement; and the same goes for the follower. Understanding each person’s role and the dance technique will give both roles the freedom needed to complete the whole sense of this dance: complex but fun; fun but responsable; traditional but innovative; happy and sad… all the “dichotomies” seem to find their connection in Tango. These four concepts are the base of modern tango, and the reason for which tango has developed so much in the last 20 years. We know it because we were there, at that time in Buenos Aires attending all these lessons, practices and talks about this new system. But not only that! We kept practicing based on these guidelines until we found our own and personal tango; and from there we sharpened it, polished it, and keep it on maintenance!